17 Jul 2018 --- Antibiotic resistance has become one of the biggest threats to global health and food security. In light of antibiotics becoming less effective against superbugs, a Swinburne University researcher is studying traditional agents to modify the behavior of bacteria, rather than killing them. 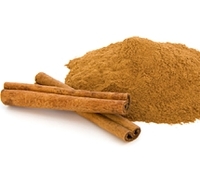 Dr. Sanjida Halim Topa investigated cinnamaldehyde, the compound that gives cinnamon its flavor, and found that it inhibited the development of biofilm, a sticky film of bacteria – like the plaque that forms on teeth – that can cause persistent infections, which resist even the most potent antibiotics. There is an urgent need to develop alternatives to antibiotics to treat chronic biofilm-mediated infections, such as may occur with urinary catheters and artificial joints. The researcher hypothesized that using natural antimicrobials, such as essential oils, might disrupt bacterial communication, thereby preventing biofilm formation. “Thus, we focused on the impact of different concentrations of cinnamaldehyde in different biofilm development stages,” Dr. Topa says. Dr. Topa tested the effect of different concentrations of cinnamaldehyde on biofilms formed from the pathogenic Pseudomonas aeruginosa strain of bacteria. She found that a sub-lethal concentration of cinnamaldehyde controlled the dispersion of Pseudomonas aeruginosa and the development of biofilm. “Humans have a long history of using natural products to treat infections, and there is a renewed focus on such antimicrobial compounds. Natural products may offer a promising solution to this problem,” Dr. Topa says. “There are a number of different natural alternatives that might be helpful to antibiotics. But it is crucial to investigate their interactions with the host,” she says. This research was undertaken with colleagues at Nanyang Technological University in Singapore. Dr. Topa is now investigating embedding cinnamaldehyde in nanofibres in wound dressings. The full research paper, Cinnamaldehyde disrupts biofilm formation and swarming motility of Pseudomonas aeruginosa in Microbiology, can be viewed here.